Meet Vincent: Athlete, husband, father, researcher. 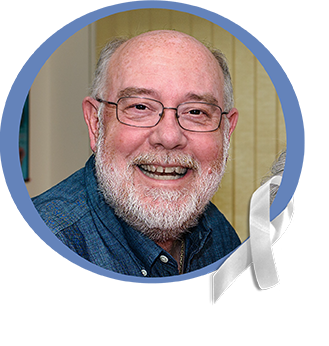 I was diagnosed with prostate cancer after a biopsy in 2016. Initially, I didn’t even want to have the biopsy performed as I had heard so many negative things about them; however, my urologist urged me to have one and, after doing some of my own research, I agreed. When I received my diagnosis, I accepted it but was concerned about the seriousness of it. My urologist referred me to another physician in his group, who recommended a lengthy procedure that would require treatments five times a week for 5-6 weeks. A member of my church had experienced this and complained about it so after hearing that, I began to do my own research. That led me to HOA and CyberKnife®. Much of my decision in choosing CyberKnife® was a result of it being a new procedure, with a shorter duration of treatment; In addition, it is much more convenient than the other options that were available. There’s no need for numerous trips to and from a facility that might be far from home. Dr. Alpert was not only knowledgeable about CyberKnife®, but she was kind enough to work with me to get it approved by my insurance company. That’s one thing I’ll say about HOA: they are competent and well-organized. I got along great with everyone there. CyberKnife® treatment was totally painless. I had very minor side effects on just the last day of treatment and it didn’t stop me from pursuing my daily activities: I love to go to the library and do medical research and I was able to continue to do that. (I’ve had both of my hips resurfaced and still like to research and send medical articles to my surgeon!) We live in a time of extraordinary progress! If there were one thing that I’d want people considering CyberKnife® to know, it’s that it’s worth all the prep time…and the thing works! Meet Tracy: Mother, patient, advocate and BLESSED! 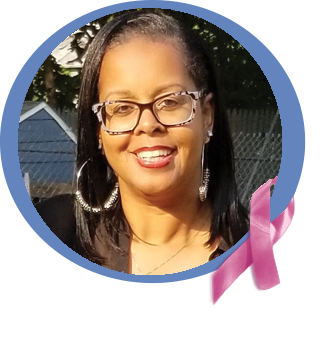 When I was diagnosed with Stage II breast cancer in 2004, I was already facing some challenges: I was a single mom working as a substitute teacher. I couldn’t work full-time because I was responsible for taking my two children—who were 11 and 9 at the time—to school and the ride was one hour each way. So when I received my diagnosis, I thought, “And this, too?” I was shocked. Of course, my first concern was for my children. I knew I needed help, so I turned to my friends; one of them took me under her wing and introduced me to HOA. Here, cancer wears a face, and not a number. Let me explain. I visited two well-known cancer centers, and at one, the physician I saw told me that she hadn’t taken the time to read any of my file in preparation for our appointment. This was after a six-hour car ride and an hour spent waiting to see her. She was impersonal, and had no respect for me as a patient. 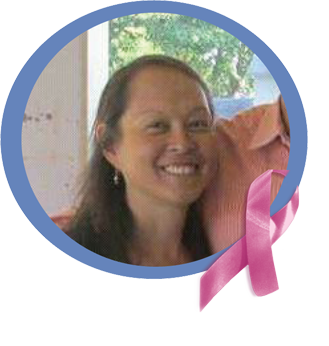 At the second center, I was point-blank told that I was going to die of breast cancer. At HOA, I began seeing Dr. Scalzo after my original physician, Dr. Maher, passed away. God has definitely gifted Dr. Scalzo into my life. When I saw him at one of the Komen races, he recognized me and made the connection that I had had a test done a few days prior and been waiting for results. He told me that I’d have my test results by the end of the day, and sure enough, by 4pm, he had called me with that information. I use the word “blessed” as one of the ways to describe myself because I have many reasons to feel this way: I’ve got a doctor who cares about me, and the staff at HOA—from receptionists to phlebotomists to billing—sees me as a person. I’ve been able to see my children graduate from high school and college, as well as see them get married. During my treatments, I was also blessed to receive a great deal of support from my local church community. In fact, as a show of solidarity, the women there wore hats for three months while I experienced hair loss. HOA encourages its patients to become advocates and then preserve the idea of “community oncology” by giving it a stronger voice. Thanks to HOA, I was able to learn more about community oncology by attending a conference they sent me to in Washington, D.C. Centers like HOA offer an attention to detail that you won’t find in a larger setting. Everyone is friendly and genuinely cares for you as a person. I’ve met an amazing group of battlers in the Metastatic Cancer Support Group here. I was at a crossroads when I came to HOA; I was fearful. And HOA made a huge difference. They were able to take some of my fear away. Why would anyone consider going anywhere else? Meet Della. Wife, mother, grandmother, and ADVOCATE! I was scared when I found out that I had breast cancer. I had seen my brother go through cancer treatment and knew that I wanted a more patient-centered, nurturing experience for myself. I found all of that—and more—at HOA. Their windows were what drew me in; they were like a ray of hope. And while I was overwhelmed by the amount of information presented to me at my initial appointment, my nurse practitioner walked me through every detail of my treatment; and when I saw the doctor, he explained everything in a way that was easy for me to understand. At HOA, they get to know you and your personality; they want to make you comfortable, and their goal is to keep you out of the hospital as much as possible, which was the opposite of what my brother had experienced. If you find yourself on the path of being a cancer patient, trust me, it’s HOA that you want on this journey with you. 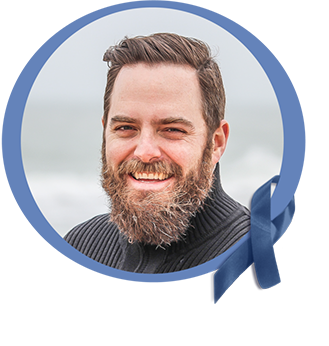 My biggest fear after receiving my cancer diagnosis was that I would have the same experience as my brother, which was that he felt pretty much alone at the facility where he received his treatment. There were small, cubby-style rooms that felt cold, sterile and impersonal. Plus, my brother saw so many different doctors that the information that was provided to us was often inconsistent; it was frustrating. At HOA, I was given a 90-minute evaluation appointment during which my treatment options were explained, step-by-step. I met Dr. Cherny, who would be my physician, and Kathy Snyder, who would be my nurse practitioner. Kathy told me that when I wouldn’t be seeing Dr. Cherny, I’d be seeing her. They got to know me, and my symptoms, and had my back the entire time. At HOA, I felt that not only were my physical needs met, but also my mental, spiritual, and emotional needs as well. One day, when I was called in for treatment, I burst into tears in the patient waiting area when my name was called. Kathy just looked at me, and said, “I know.” While of course she couldn’t know exactly what I was going through, she knew that this was hard for me, and understood that I was going to break down from time to time. If there was one thing that I’d want people to know about HOA, it’s this: If you can’t be home with your own family during treatment, you have your HOA family. They really are the next best thing. I’m coming up on six years cancer-free later this year and I would not have made it this far without HOA. Meet Susan. Friend, yoga beginner, survivor. 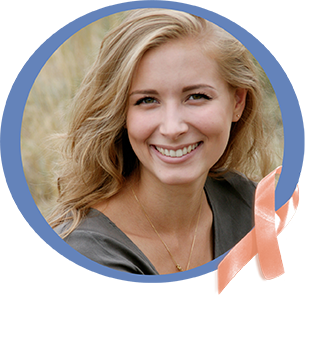 I was terrified when I found out I had cancer, but also knew I was going to fight with everything I had. With the doctors and nurse at HOA by my side, I never gave up hope. Going through chemotherapy is never fun, but I actually found myself looking forward to my visits because of the love and motivation I received from the staff. Everyone from the receptionists to the nurses and doctors were so kind and uplifting. They made me feel like family. I have been cancer free for two years and still look forward to going back to HOA several times a month to practice yoga with the friends I made in my cancer support group. Meet Anthony. Grandfather, crossing guard, survivor. My favorite thing in the world are my grandchildren. 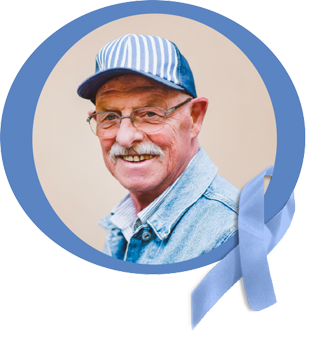 When I found out I had lung cancer, my first thought was “how long do I have.” I felt for sure that I wouldn’t be around to watch my grandchildren grow up. There were many things big and small that I questioned, including who would take over for me as the crossing guard at their school. The folks at HOA made me see things differently. Their expertise gave me confidence that I would survive. With the incredible care I received at HOA, I was soon back to guarding the roads and hearing my grandchildren yell “Hey Grandpa” to me every morning on their way to school..
Meet Dan. Father, fan, survivor. I’m only 48 years old, how can I have colon cancer? That was the first thought that went through my mind when I got the news. After getting over the initial shock, I immediately went into survival mode, knowing that there was no way I was going to let cancer beat me. Thankfully, everyone at HOA shared my fighting spirit. It wasn’t long after getting my diagnosis that my daughter and I were back at the Dome cheering on our favorite team and feeling grateful that I had my own cheering section at HOA filled with the region’s most experienced nurses and physicians who were dedicated to helping me beat cancer.